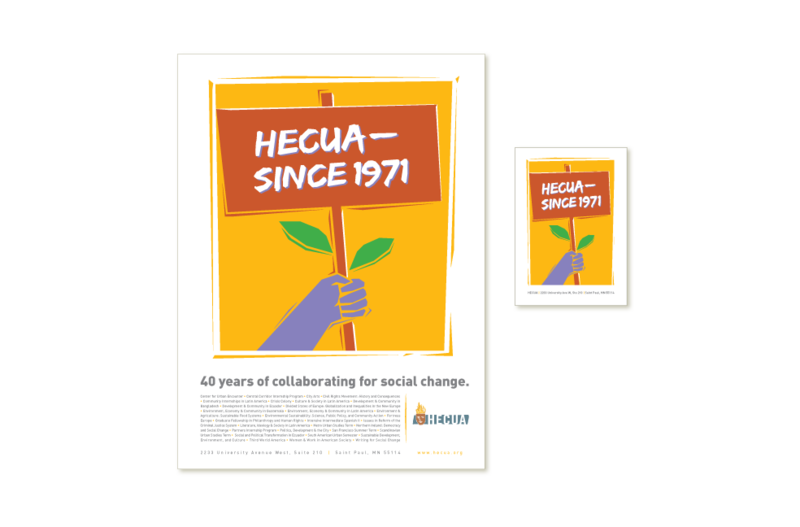 Identity, stationery, slogan and graphic, annual promotional literature The Higher Education Consortium for Urban affairs has a remarkable history and mission dating back to the 1970’s. And, its name makes one grateful for acronyms that are pronounceable. 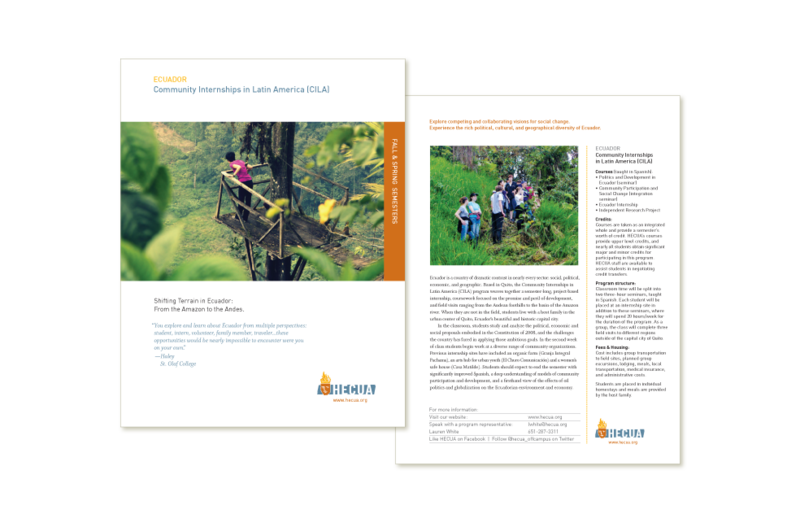 HECUA serves a partnership of colleges and universities by providing opportunities in the US and a number of countries abroad for students to travel in groups to places where social change is in ferment. 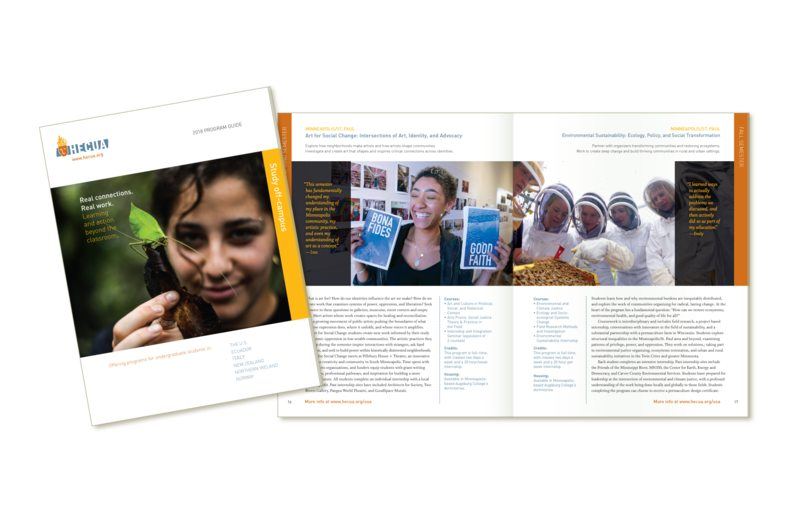 They work and learn alongside local teachers, community activists, students, and government officials. During our search for a new visual identity, many ideas were reviewed by a very large but well-behaved committee. The design that was chosen came from a doodle inspired by a comment made by a student participant who said the experience abroad “set my life on fire” (in a good way). 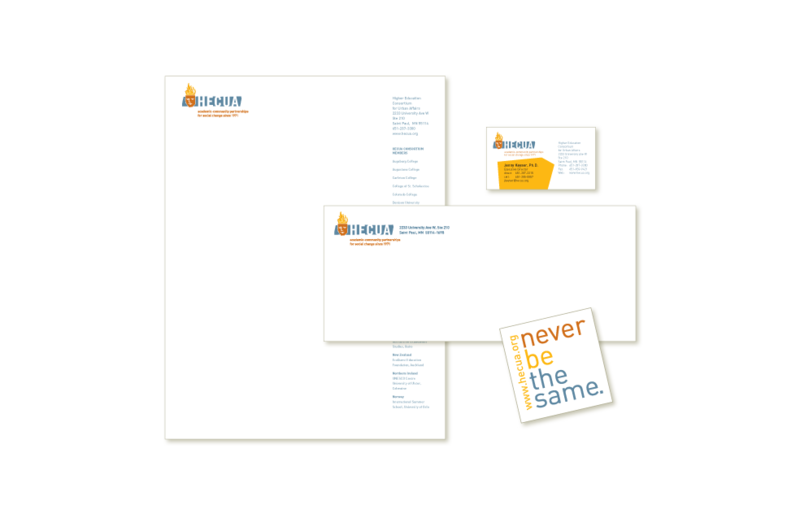 We also developed new business stationery and the slogan “never be the same”, similarly inspired by a client testimonial. 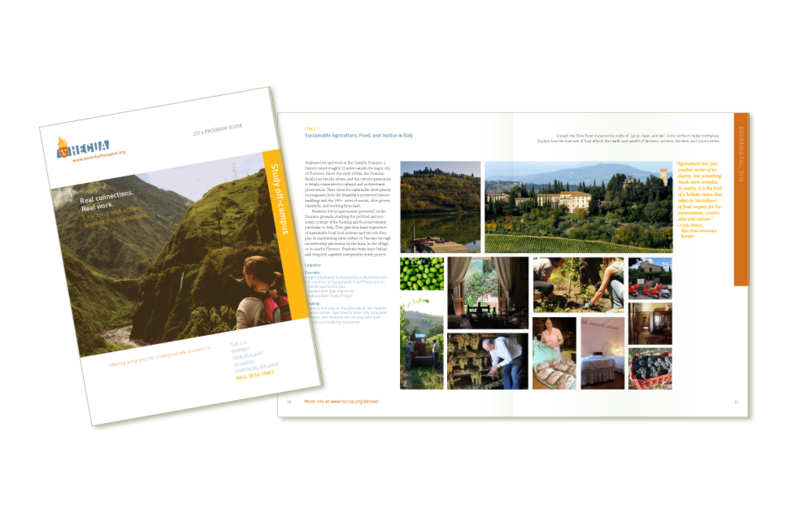 For several years since then we have collaborated to produce the annual program guide and individual program fliers, and other miscellaneous branded communications.